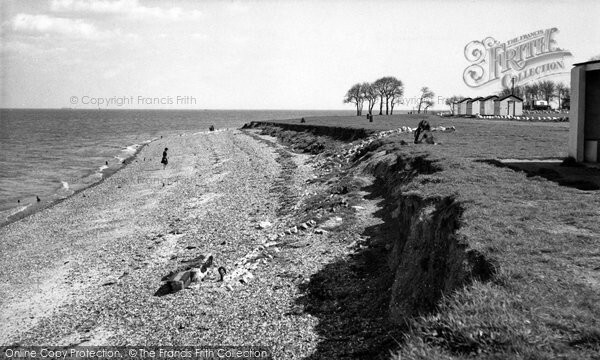 A Seaside Holiday At Allhallows - a Memory of Allhallows. My earliest memories of the seaside are from the 1950's. We lived in Bexleyheath and - like most people - did not own a car in those far off austerity years after the war. For this reason our summer holidays were always on the nearby north Kent coast and we would travel by train! Our trip to Allhallows was eagerly awaited - we packed our cases and sent them on ahead. As the big day arrived we took the train from Bexleyheath, changed trains at Chatham and then arrived at Allhallows where an old fashioned taxi took us to our rented bungalow near the seafront. I remember bathing huts, a shingly beach and fine weather for two weeks - a paradise for an eight-year old ! I have a collection of black and white snaps taken on this holiday to jog my happy memory! A memory shared by John Howard Norfolk on Jun 22nd, 2008. Send John Howard Norfolk a message. Add a memory of Allhallows.